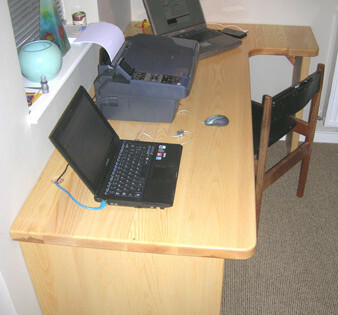 Home Office Furniture. 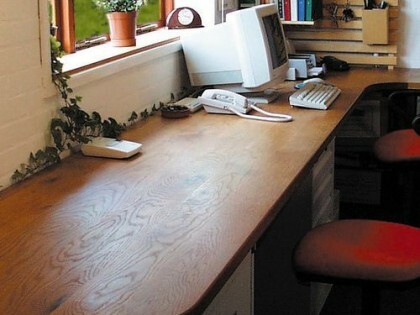 Bespoke wooden desks & base units. 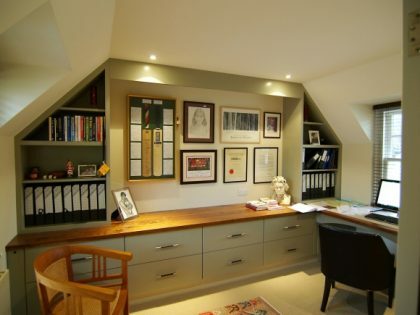 Bring organisation and tranquillity to your home office all while maximising space. 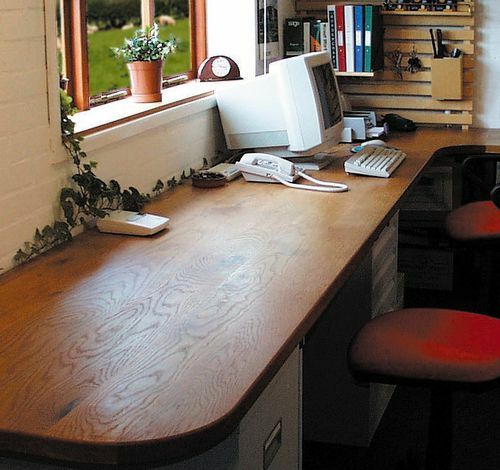 Since you can design the working area and desk layout, you’ll be sure to end up with a setup perfect for your needs. 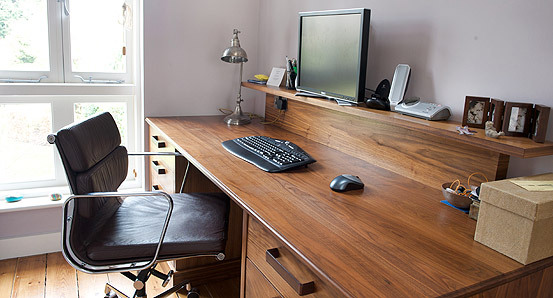 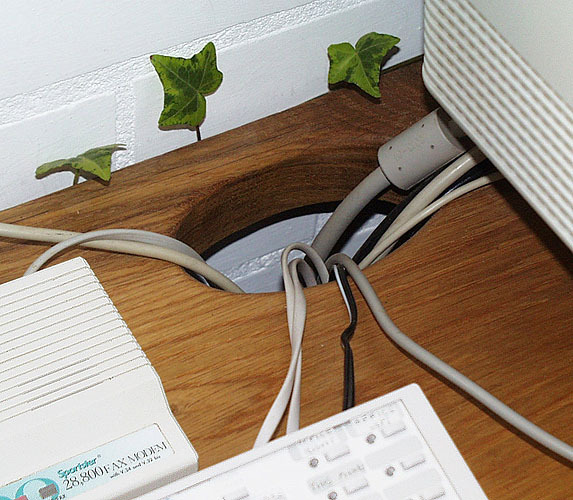 You can design in cable access, bridge fronts and pull out shelves to store keyboards. 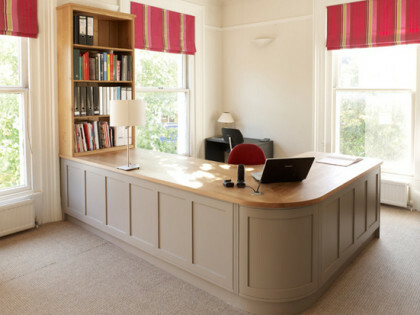 Add a custom made Wallrack to make use of any spare wall space. 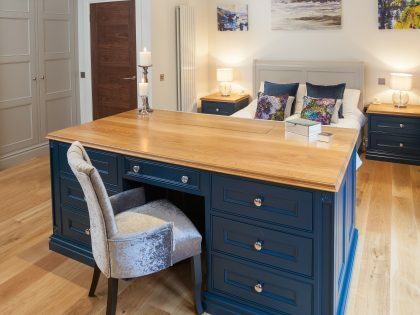 We are also able to manufacture base units including cupboards, drawers and filing units in either solid timber or MDF or a combination of both. 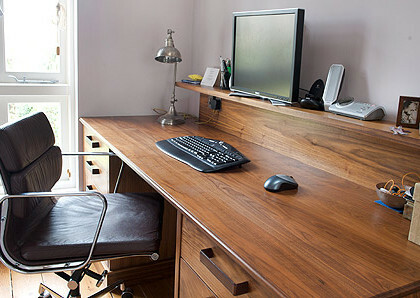 Build yourself the perfect home office.